Very spacious in our room including dinning area. Staff friendly and helpful. Not much at all. The property was clean and easy access to the train going into London. 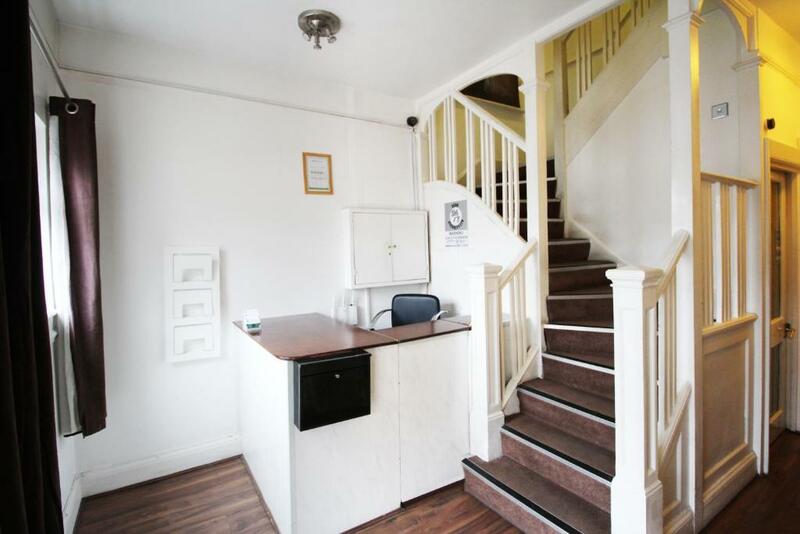 Nowhere else than London you could rent out a property like this. There is a beautiful breakfast advertised - nothing there and never stocked up again. Ejas was very helpful with us; he used a familiar approach, which we really appreciated as we were kind of lost. The fact that he could speak Spanish was a plus! He even helped us taking our luggage out to the taxi when we were leaving. He seemed committed to his job and was very professional, always receiving us with a smile. Easy checkin, once they answered the phone. The room was clean and tidy, kitchen facilities and provisions were good. Great location for me, with parking. Room was nice and cosy. Value for money! Bus stop right there. Comfy rooms. Breakfast variety great, plenty. Kitchen facilities for doing your own cooking great too. Everything you need. Fresh towels everyday. Nice staff. 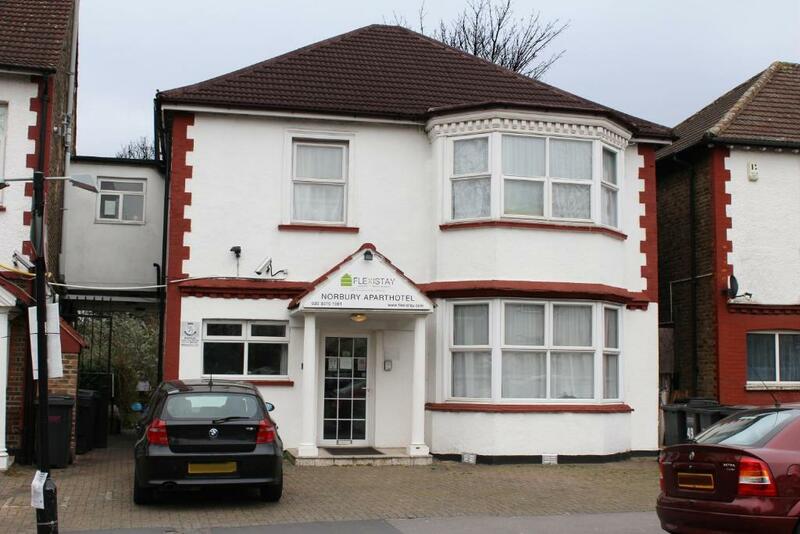 Flexistay Norbury ApartHotel This rating is a reflection of how the property compares to the industry standard when it comes to price, facilities and services available. It's based on a self-evaluation by the property. Use this rating to help choose your stay! One of our best sellers in London! Just 20 minutes’ train journey from central London, the stylish Flexistay Norbury ApartHotel offers free WiFi. A free self-service breakfast and laundry facilities are also available. Each compact, modern room at the Flexistay Norbury ApartHotel includes a digital TV, ironing facilities, and either a private or shared bathroom. Rooms also come with tea/coffee making facilities. Guests share a dining area and fully-equipped 24-hour kitchen. Flexistay provides all day self-service breakfast in all Aparthotels. The domestic kitchen is open all day for guests, allowing you to cook your own meals at any time of the day. The kitchen is fully stocked with milk, juice, eggs, bread, bacon and cheese. Norbury Rail Station is a 3-minute walk away and offers access to London Victoria Train Station and central London attractions. Norbury town center and Norbury Park are both under 5 minutes’ walk away. When would you like to stay at Flexistay Norbury ApartHotel? 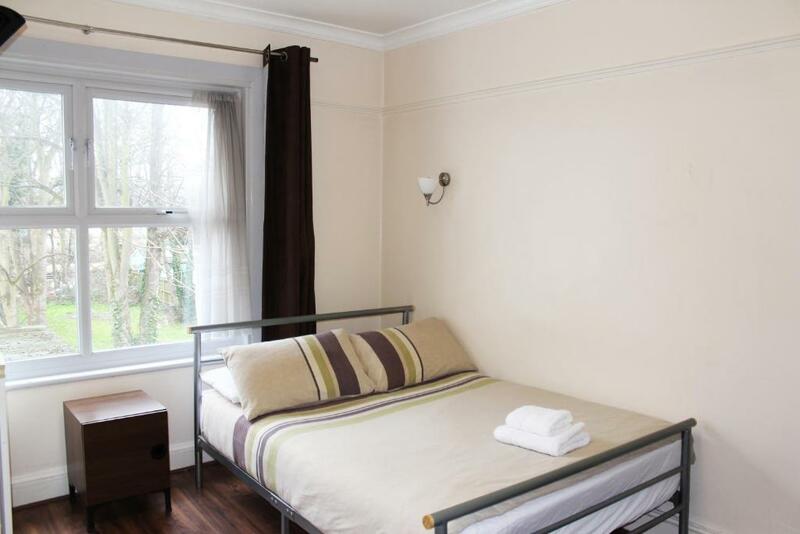 Free Wi-Fi access, a TV, work desk, dresser and ironing facilities are included in this room. Free Wi-Fi access, a TV, private bathroom, wardrobe and ironing facilities are included in this room. House Rules Flexistay Norbury ApartHotel takes special requests – add in the next step! Debit card Flexistay Norbury ApartHotel accepts these cards and reserves the right to temporarily hold an amount prior to arrival. Flexistay Norbury ApartHotel accepts these cards and reserves the right to temporarily hold an amount prior to arrival. The last check-in time is up until 22:00. If you prefer a late check-in, please inform the property in advance using the contact details found in the booking confirmation. Photo ID must be provided at the time of arrival. When booking under an advanced purchase policy, the card used to reserve the room needs to be presented upon check-in. If the card holder is not a guest, an authorization form signed by the cardholder along with a copy of the card must be provided. Please request the third-party authorization form from the property, using the contact details found in the booking confirmation. For group reservations of 3 or more rooms, the full amount of the stay is due in advance and is non refundable. Flexistay provides all day self-service breakfast in all Aparthotels. The domestic kitchen is open all day for guests, allowing you to cook your own meals at any time of the day. The kitchen is fully stocked with milk, juice, eggs, bread, bacon and cheese. Please inform Flexistay Norbury ApartHotel of your expected arrival time in advance. You can use the Special Requests box when booking, or contact the property directly using the contact details in your confirmation. Wi fi non funzionava al 1 piano! Breakfast was not as described (it runned out of stock since the second day, we stayed ten days). Hard to get in touch with the personnel, no manager to lead the hotel. The heater didn't work an entire day. On arrival it looked ok from the outside, but when we got inside it was shocking...The carpet on the stairs had seen better days(stained and could do with changing)😔 the flooring in the room looked like they'd had a flood and the edges of the wood looked like it was separati ng,the shower tray had so much limescale that it looked like it had never been dealt with same with the sink😷....even though there was double glazing we could hear the traffic all through the night and. In the morning u could hear people right outside the door and lots of door banging and creaky floorboards😣 where was the wifi password?...Non-existent -that's what it was, i ended up using all my data😡stains on the bedding etc....I could go on !! I wouldn't recommend it! The room was small and you could get into the bed only from one side - so for two not practical. All was dated and never really reinvested any money. The first night the heating was not on - so we were freezing - no one there to ask. The big advertised breakfast is not what it should be. One (!) old apple the whole time we were there in the bowl. Cheap bread. The last day not even beacon anymore since they never restock and people use it. The area is so so, nothing you really can and wynt do. Check-in Code was not sent on time and response to emails and phone calls were slow. The shower cubicle was not in a good condition. The quilt on the bed was thin, therefore cold. The bed was small for a double. The sheet on the bed was badly creased. Next door room, number 6 had troublesome guests keeping us awake most of the night. The location, breakfast and dining facilities. It will be great if you could buy a new pan.